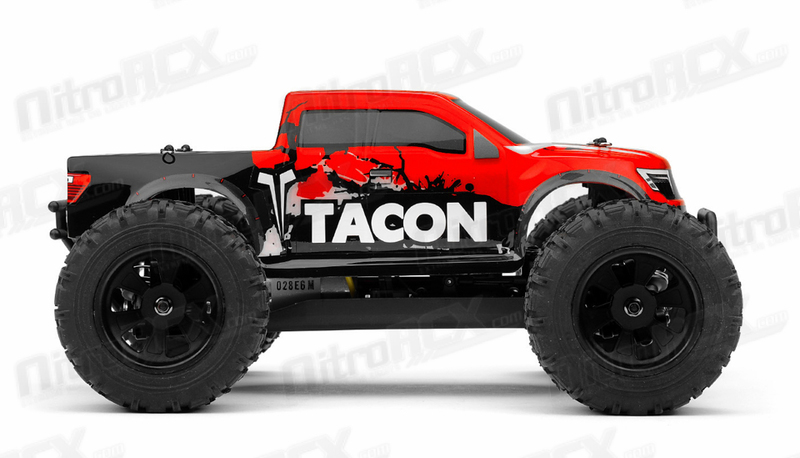 The Tacon Valor is a 1/14 scale Monster Truck. 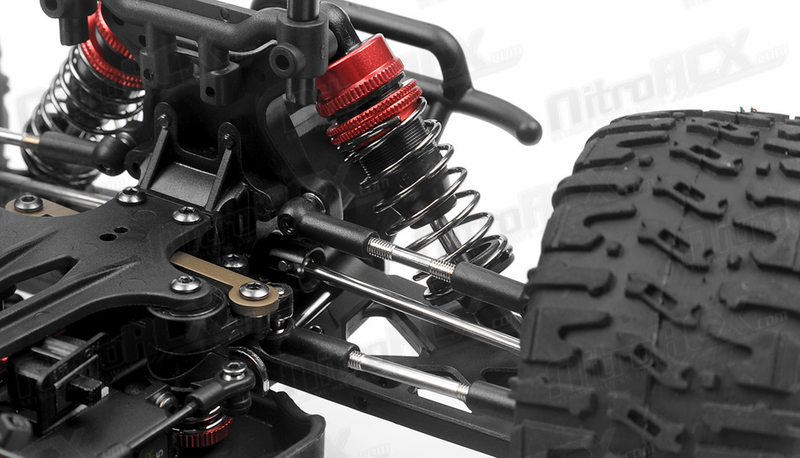 It was designed from the ground up with pure performance in mind. 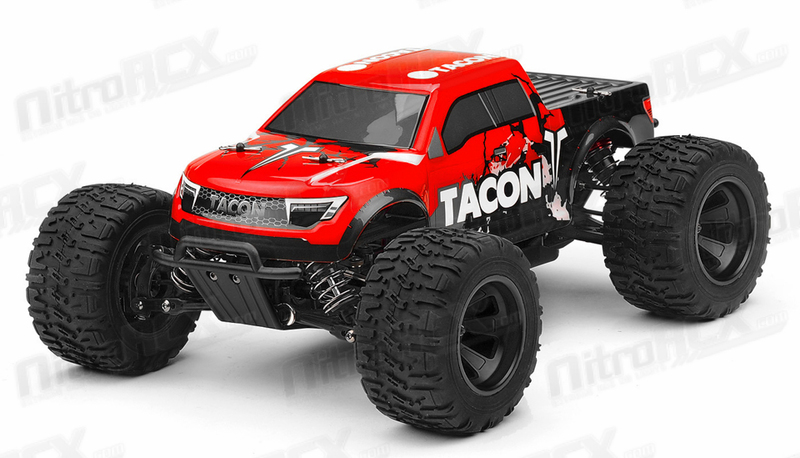 Performance features derived from 1/8 scale trucks and buggies have been shrunken down in size and engineered to deliver the utmost performance in a smaller monster truck package. 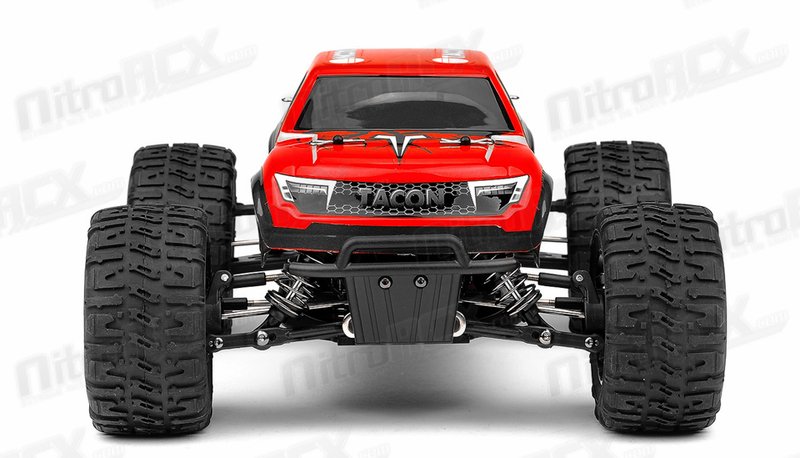 A composite chassis serves as the base of this monster truck. 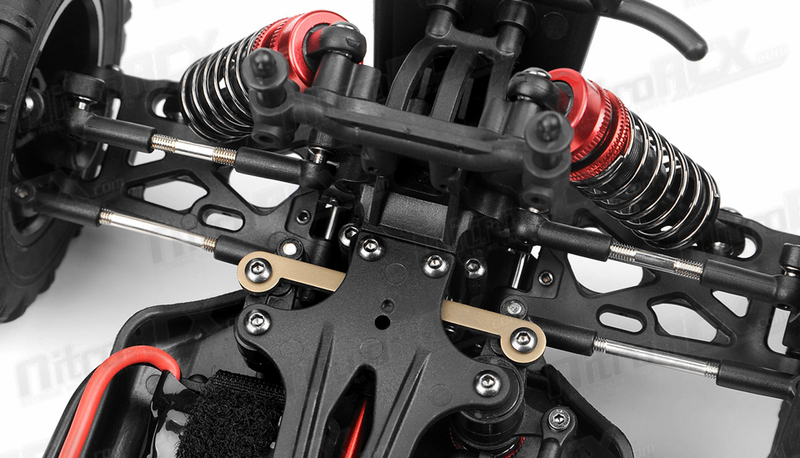 Mounted on the front and rear is thick composite shock towers towering over the planetary geared fluid filled differentials. 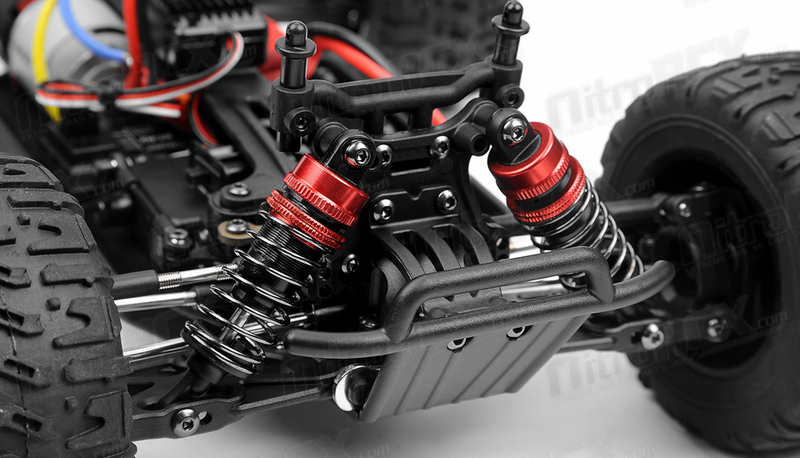 Attached to the robust towers are aluminum capped, coil over adjustable, oil filled shocks providing plush and ground hugging dampening. 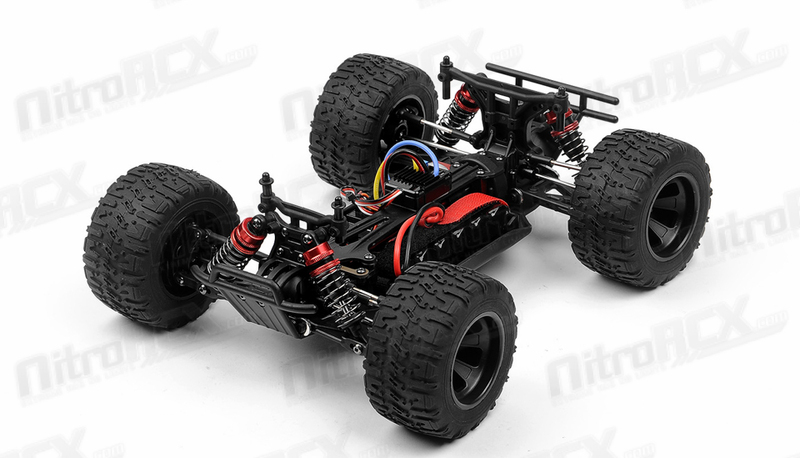 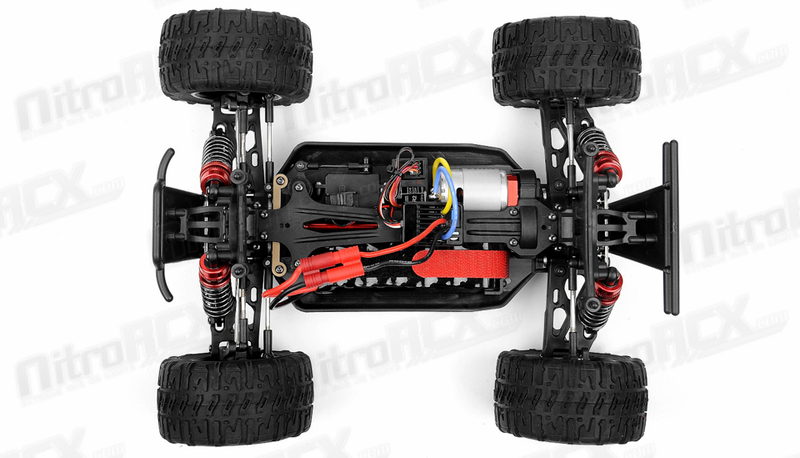 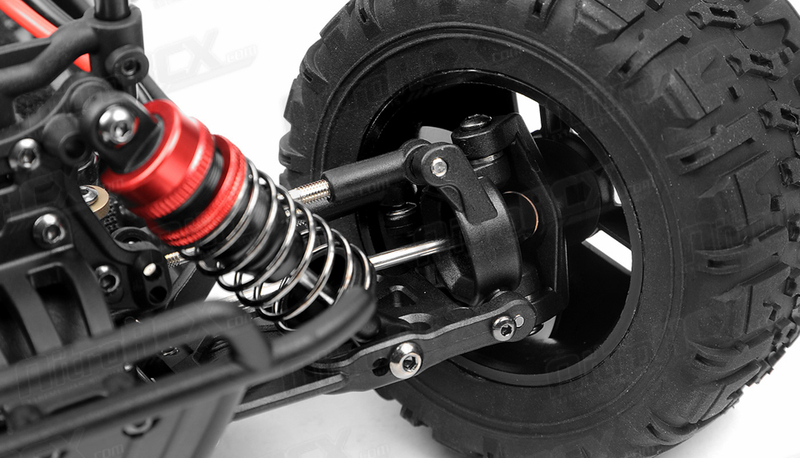 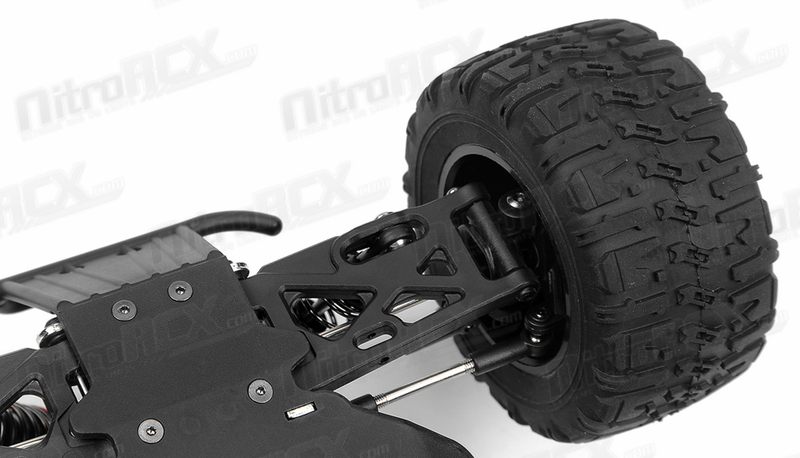 The steering tie rods and upper and lower arms are adjustable for fine tuning of the toe and camber, effectively altering the handling characteristics of the buggy over varying terrain. 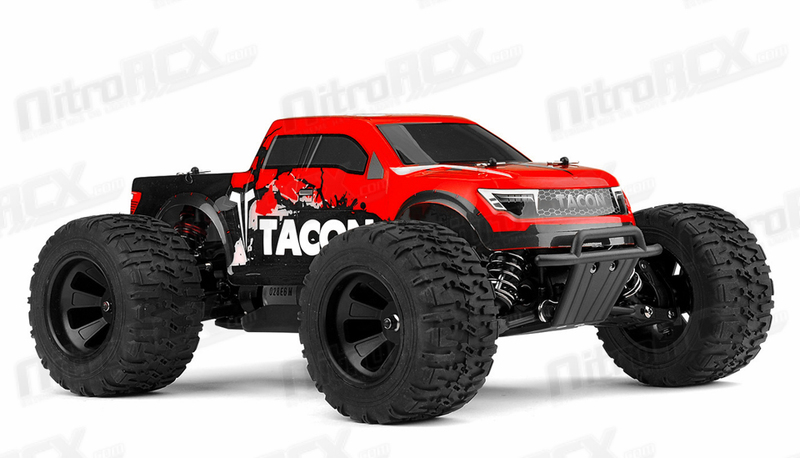 This truck has an awesome power to weight ratio. 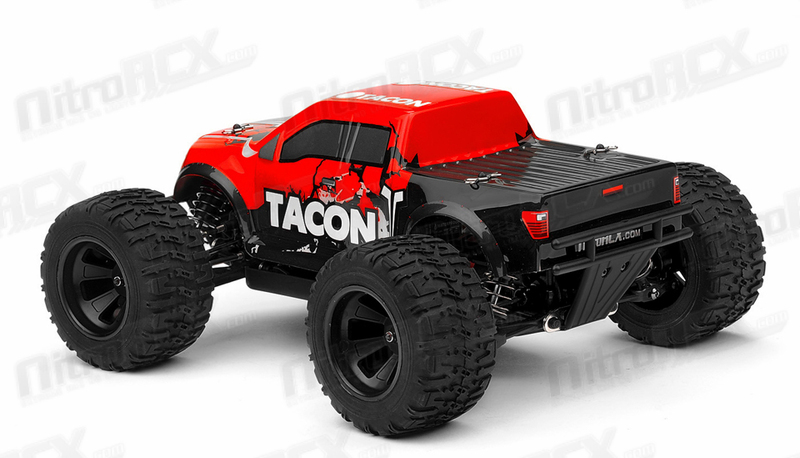 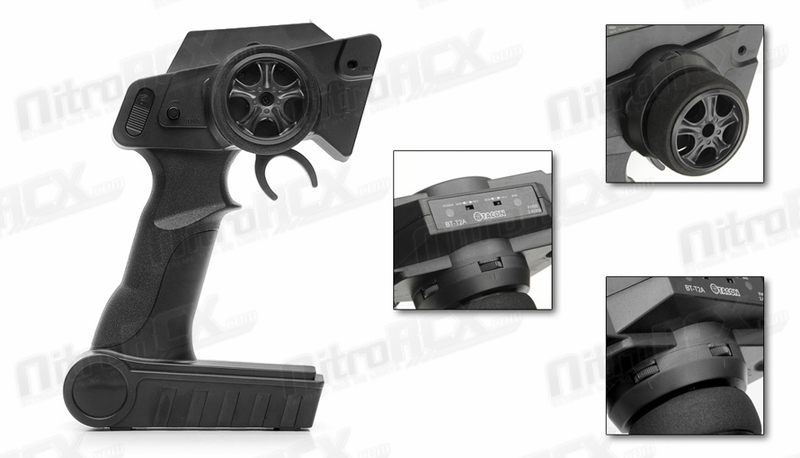 Weighing in at slightly over 2 lbs, the vehicle is easily propelled by the 380 sized brushed motor. 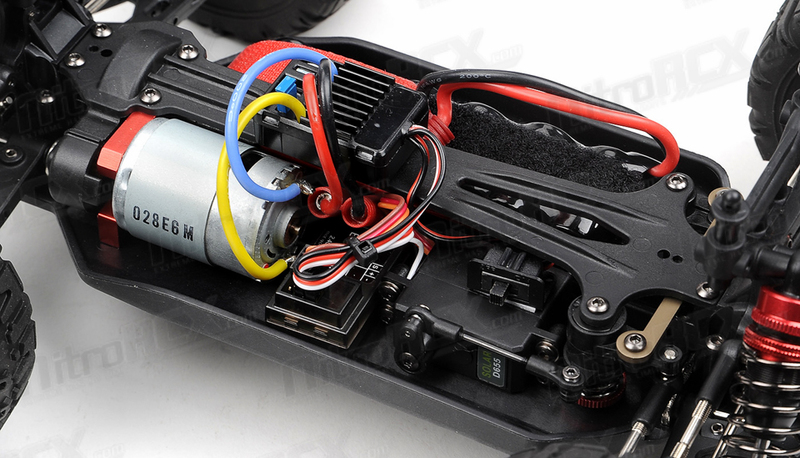 A brushed electronic speed controller delivers the current efficiently through an included 7.2v 1100mah Ni-Mh battery and charger. 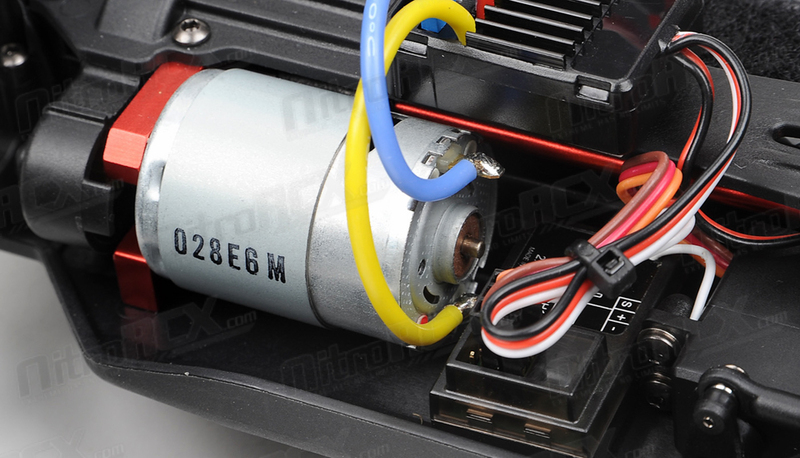 The brushed electronic speed controller is also capable of accepting 7.4v lithium batteries with a quick switch of a jumper pin. 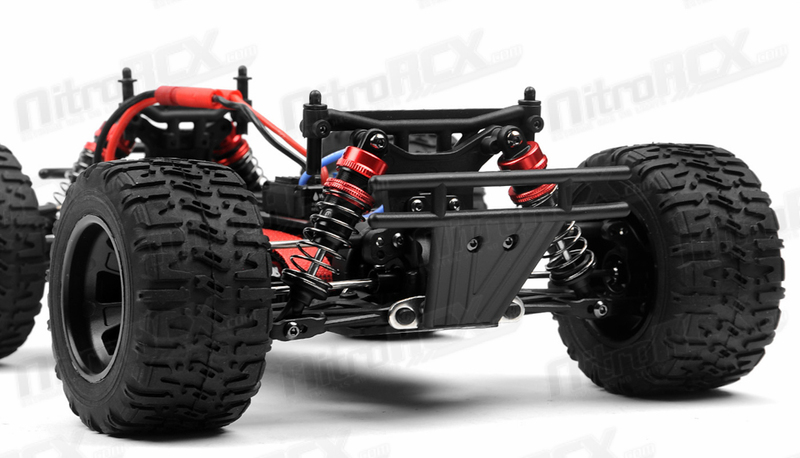 All of this power transfers through a shaft driven four wheel drive system providing ground clawing action through the performance wheels off road knobby tires. 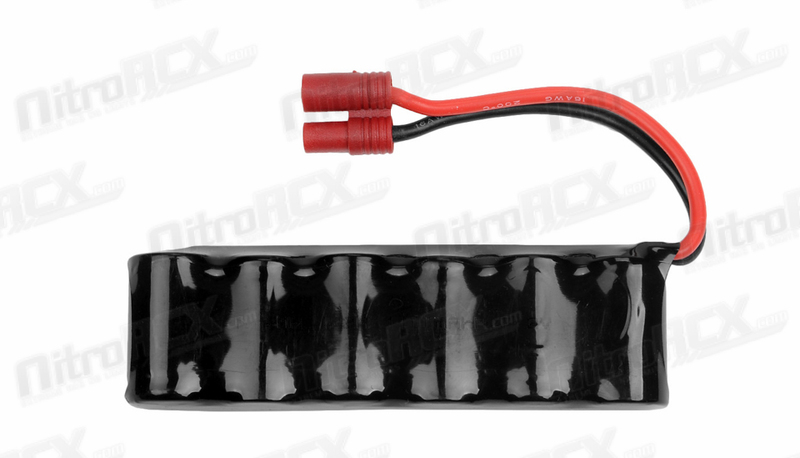 We recommend a Gens Ace 7.4v 1800mah lithium battery for an exponential increase in power and efficiency.? 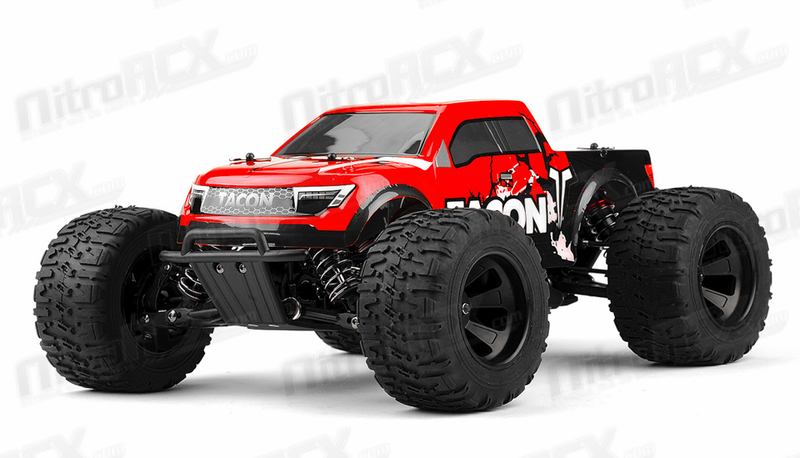 The Tacon Valor ready to run package also includes a 2.4ghz radio system. 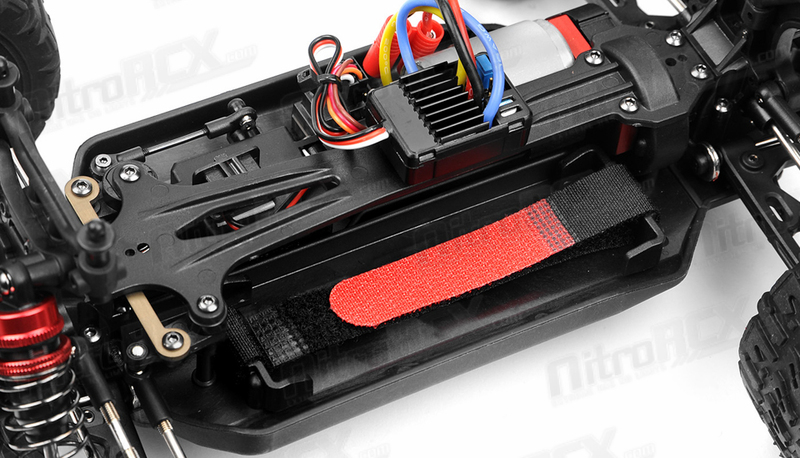 With frequency hopping technology, interference is a thing of the past. 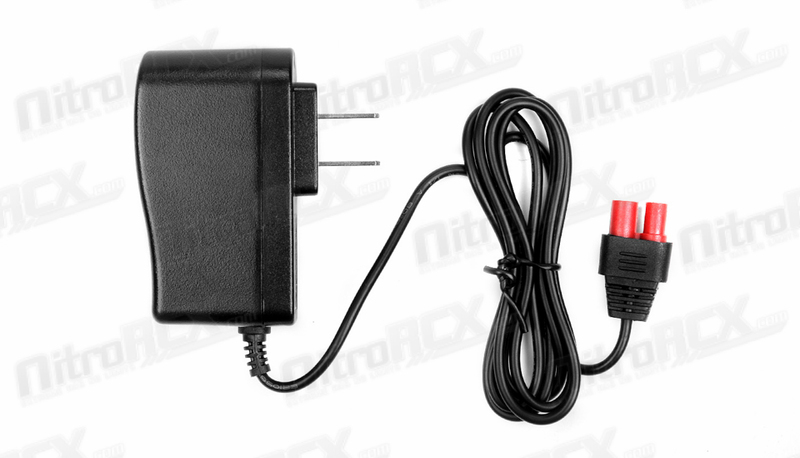 No longer do you have to worry about your specific channel. 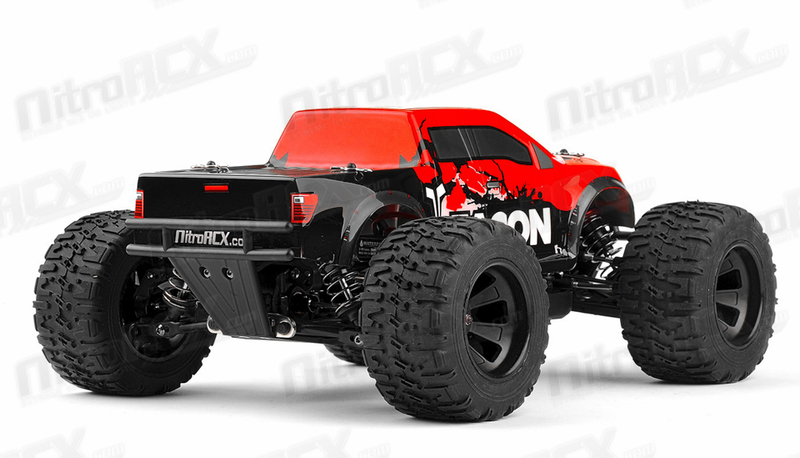 The radio system will automatically take care of that for you while you are focused on handling this beast of a machine. 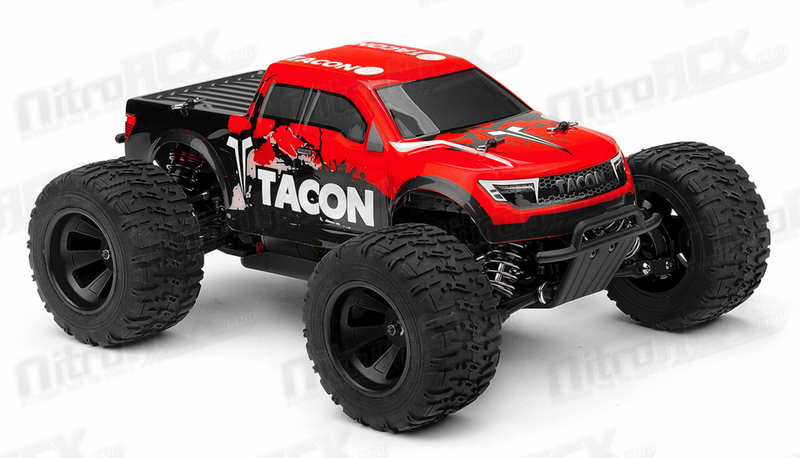 With a body designed with monster truck styling and big tires, the truck handles exceptionally well on bumpy terrain and responds quickly with throttle and brake inputs while mid flight off of a jump. 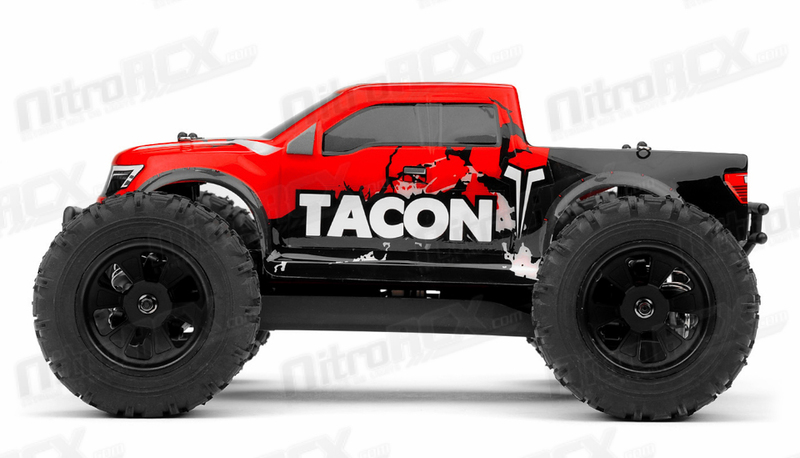 This truck will put a huge smile on your face when you see it four wheel power sliding through a corner spitting dirt and debris out the rear end or flying over obstacles easily correcting itself landing on the perfect transition.